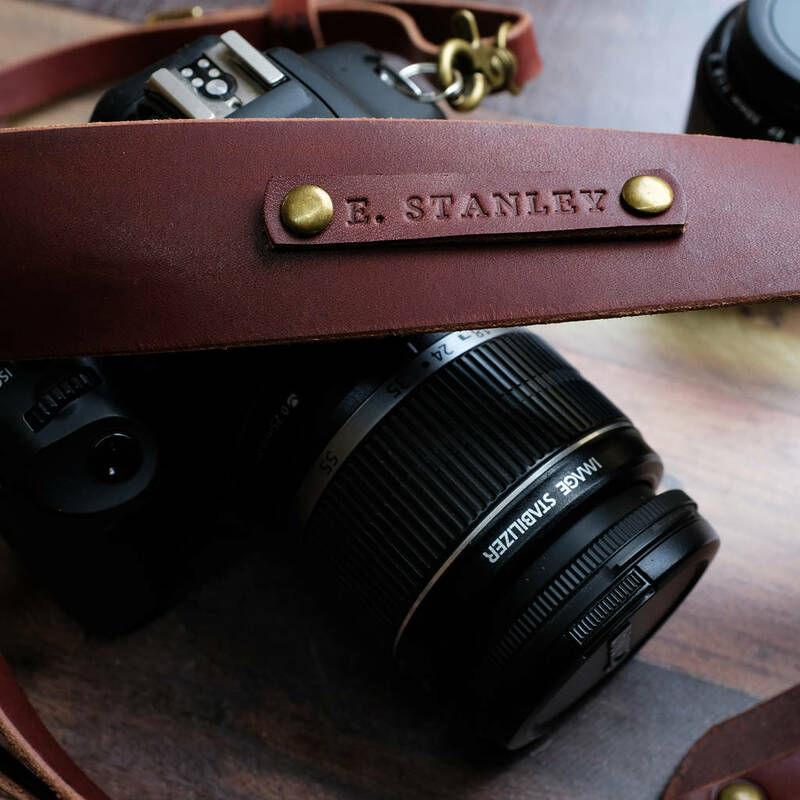 This personalised handmade leather DSLR camera strap is soft to the touch, supple, and comfortable around your neck while shooting. Available in 2 colours of Italian leather, brown and black. Handmade using Italian vegetable tanned leather with beautiful natural characteristics. 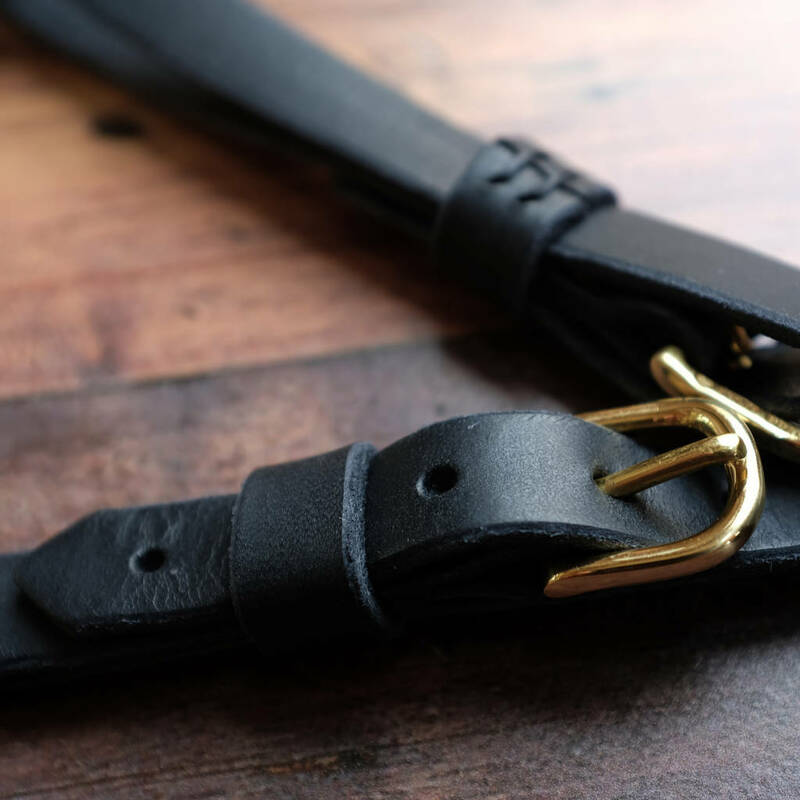 It is supple and luxuriously soft to the touch from the oils and waxes used to treat the leather. 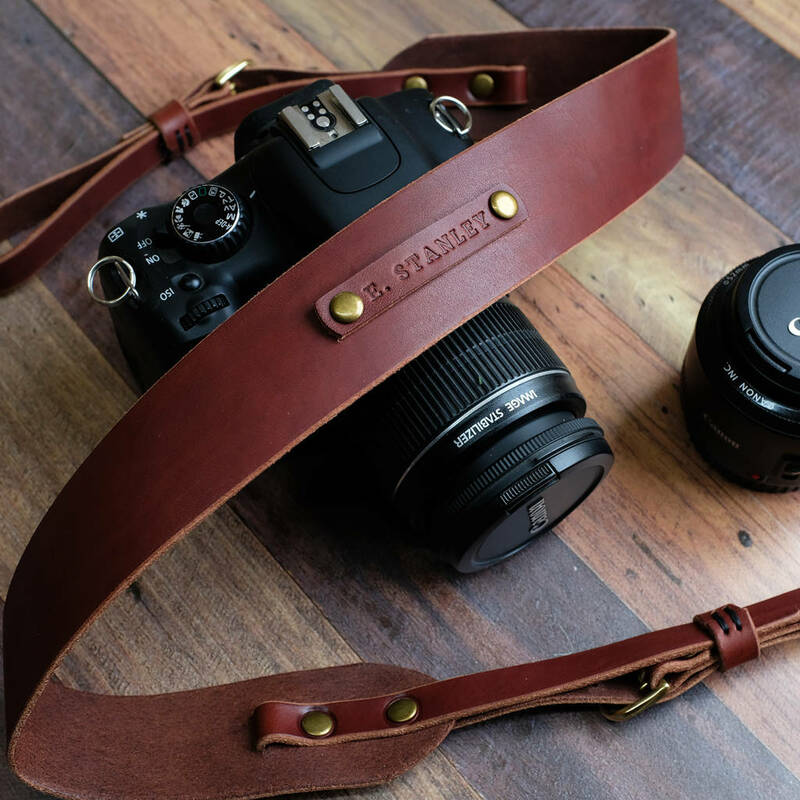 With adjustable buckle straps you can achieve a comfortable drop around your neck that suits you. 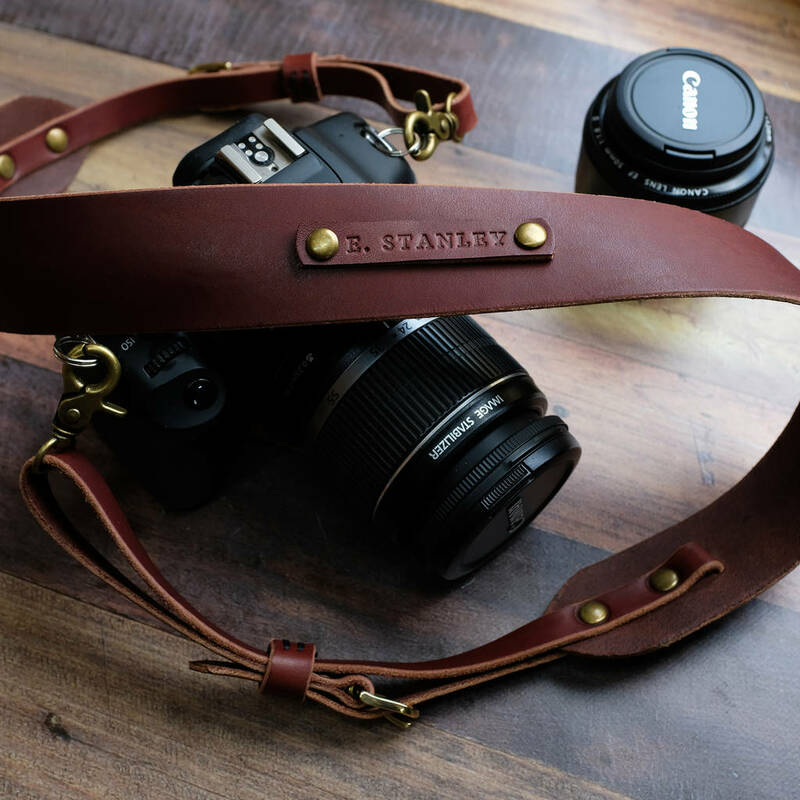 With handy strap keepers to keep excess from getting in the way of things. 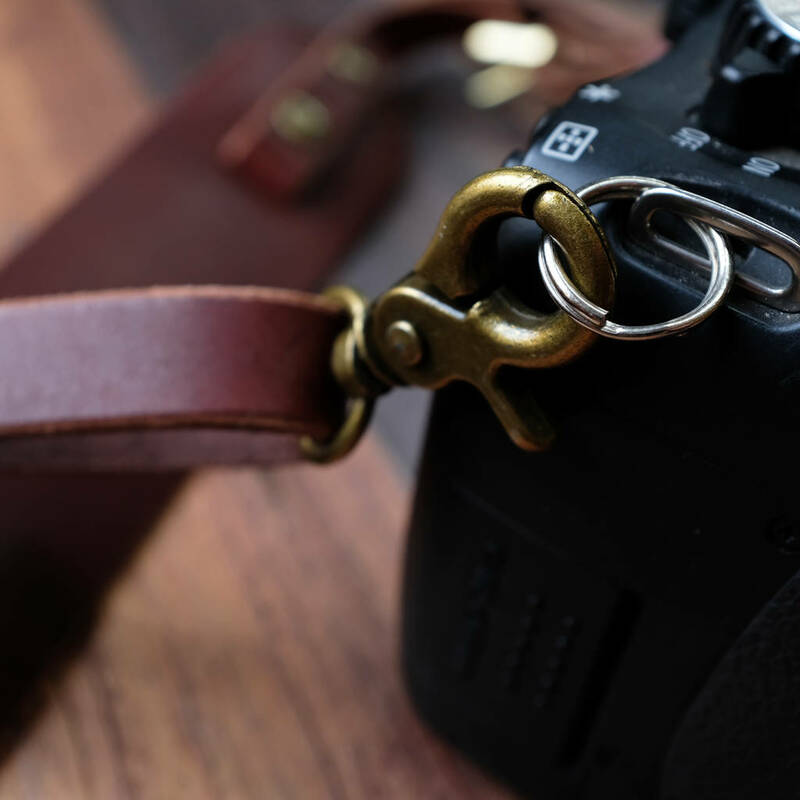 Comes with a pair of small split rings to attach to your camera. 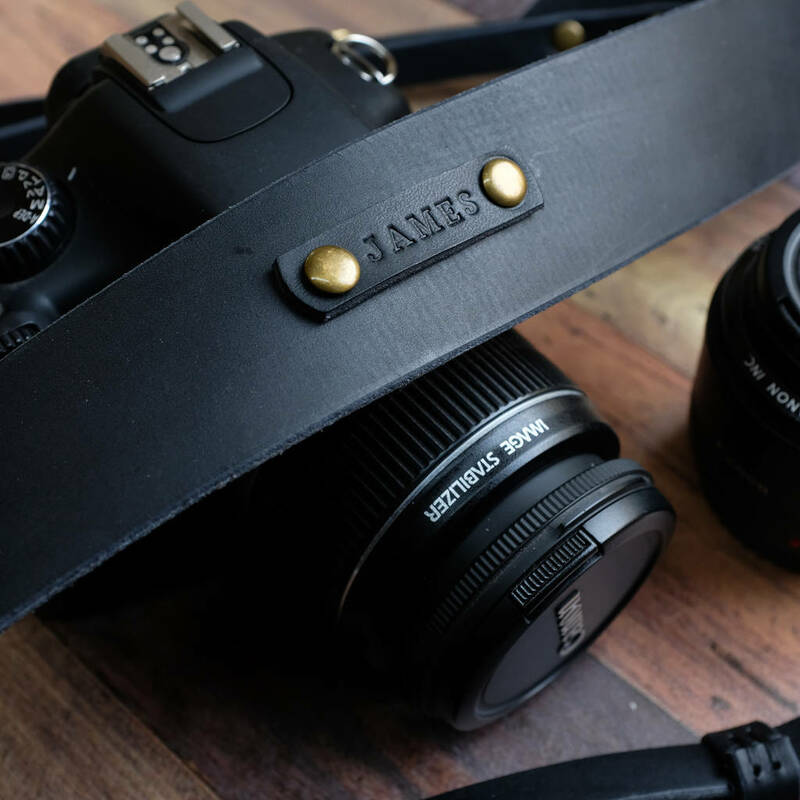 The length of the strap measures 39-42.5" and the width of strap measures: 1.5"
Field tested on Canon 550D with Macro & std 18-55mm lenses. This set up weighs approx 750g and is perfect for casual to frequent use.